The Fastback Splitter solves the problem of binding high gloss, coated papers. Micro-blades actually open the paper so the adhesive attaches firmly to the raw fibers inside. 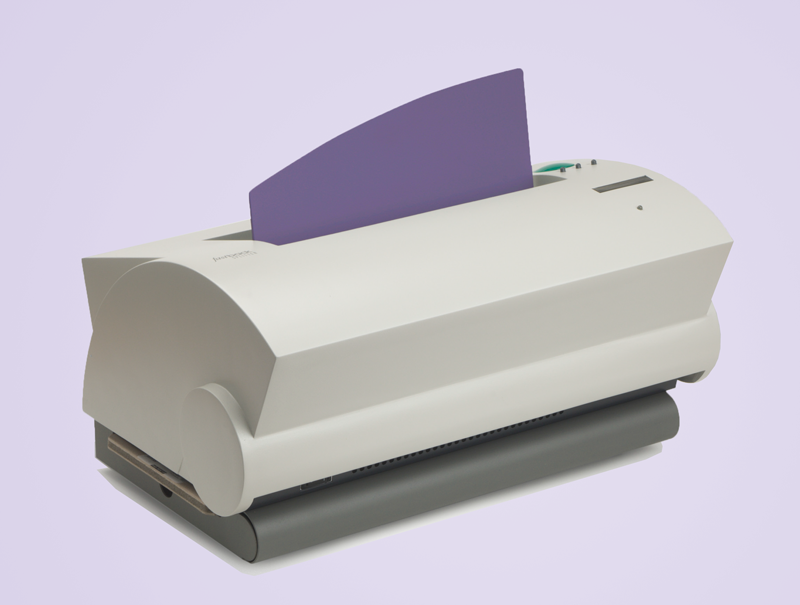 When combined with the Fastback 25 photo book binder, this new paper preparation system is capable of producing books that rival the strength of sewn or wire-stitched binding. It is usually sold as part of our Photobook Production Cell. This StitchFree approach is innovative because it binds glossy paper firmly without the mess and expense of milling or notching equipment. Microblades cut tiny channels into the center of each sheet of paper, allowing the adhesive to be absorbed by more paper fibers than ordinary edge binding will allow. In addition, the automatic jogging feature ensures that all the sheets of paper are evenly aligned during the splitting process. And, the built-in filter system helps trap paper particles, keeping your workspace dust free.